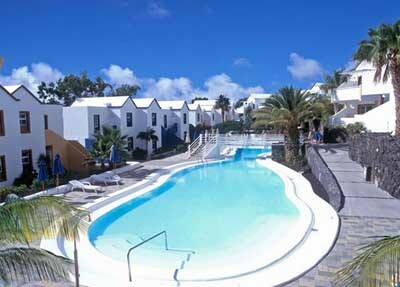 Address: Calle Mato, 13, Puerto del Carmen (Lanzarote), Islas Canarias. Set in beautiful tropical gardens, typical of the island of Lanzarote, Apartamentos Morromar THe Home Collection are only a short stroll from the stunning, fine sands of Matagorda beach. The complex has an outdoor swimming pool surrounded by a sun terrace, with loungers and great views over Matagorda beach and the Atlantic Ocean. There is also a paddle-tennis court and a gym, available at an extra cost. From here you can visit Timanfaya National Park and go trekking or participate in other outdoor activities. The complex is also only a few kilometres from the capital city, Arrecife. Please inform Apartamentos Morromar THe Home Collection in advance of your expected arrival time. You can use the Special Requests box when booking, or contact the property directly with the contact details provided in your confirmation. Guests are required to show a photo identification and credit card upon check-in. Please note that all Special Requests are subject to availability and additional charges may apply. The hotel does not accept American Express as a method of payment. The studios cannot accommodate extra beds or cribs. Please note the property consider children guests up to 12 years old.